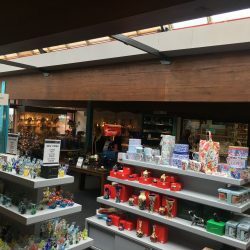 Langham Glass is a family-run handmade glass factory and visitor centre in Fakenham. 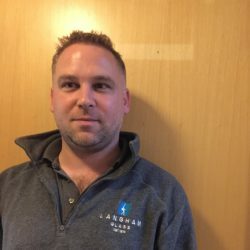 Jonathan Miller is the Managing Director and son of the founders. “My parents purchased some old farm buildings in Langham with the view to set up a glass factory and visitor attraction. In 1979, Langham Glass was born. Although Langham Glass has changed locations over the years, it’s carried its glowing reputation with it. The attraction is family-run, with years of knowledge and experience. It all began with the ambition of Jonathan’s skilled parents. “Langham Glass was set up by my parents. My dad undertook an apprenticeship at Wedgwood Glass in Kings Lynn and became a master glassmaker at a very young age. His skills and talent for design led him to take the leap and set up his own business. 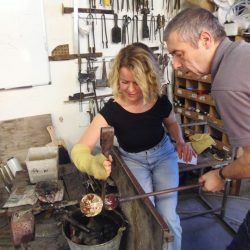 Whether you want to get involved or sit back and watch the action, glassmaking is interesting for all. It’s perfect for beginners, with the Langham Glass team on hand to guide you through the process. “We cater for all ages and many families visit us. Children and adults alike are mesmerised by the enchanting process that unfolds in front of their eyes. There are a variety of experiences for visitors to try. Perhaps you would like to blow a vase or take part in an immersive full day course. As glassmaking experiences are available daily, you won’t miss out on the fun. Traditional methods are used to craft the pieces that make Langham Glass well-known today. During the courses, you’ll learn the techniques as you make your own item. If you’d like to take a souvenir home with you, browse the onsite factory shop. Pieces made by the experts are available for purchase and cover a wide range of iconic designs. 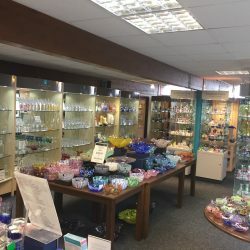 “Langham Glass is predominantly known for its beautiful animals and birds, but also produces a large range of stemware, vases, bowls, presentation items and paperweights. There’s an onsite café that serves homemade cakes, light lunches, afternoon teas and beverages. Opening times are listed on the website and change throughout the year. From Easter through to the end of October, the attraction is open every day from 9 am to 5 pm. 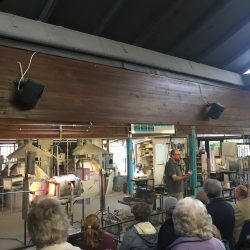 Glassmaking demonstrations run from 10 am to 4 pm. Any pieces visitors make are available for collection within a few days or postage can be arranged. Once you have purchased your tickets, they are valid all day. 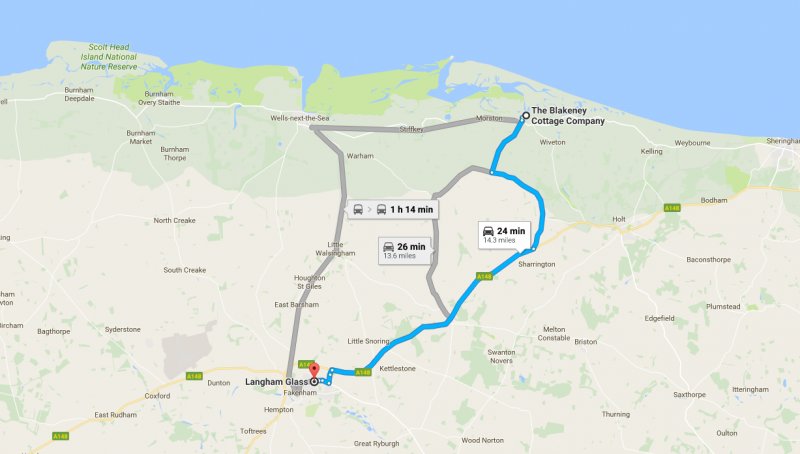 Langham Glass is just under a 25-minute drive away from The Blakeney Cottage Company HQ.